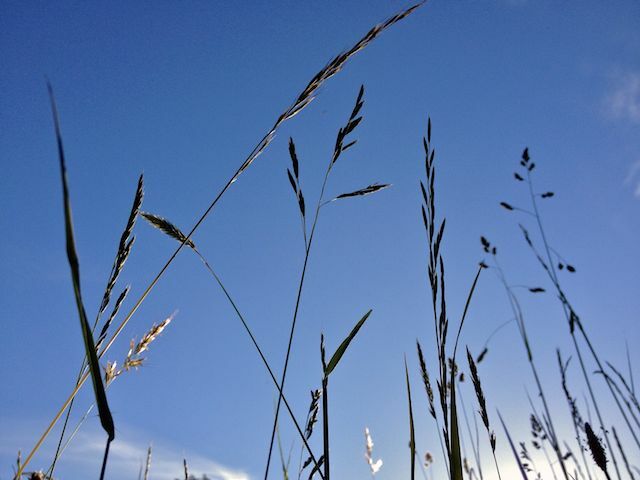 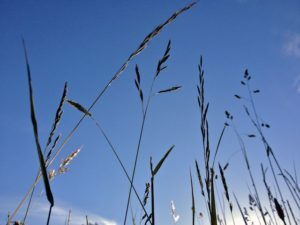 This last week has been hot and still, you felt lucky if there was a gentle breeze that might stir a leaf or set a blade of grass to nod it’s drying seed head. 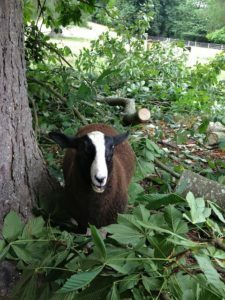 Storm damage is normally when branches crash to the ground or trees fall but in the stillness of our present heat wave it would be expected for only a leaf to curl up dried and fall yellowed to the ground. 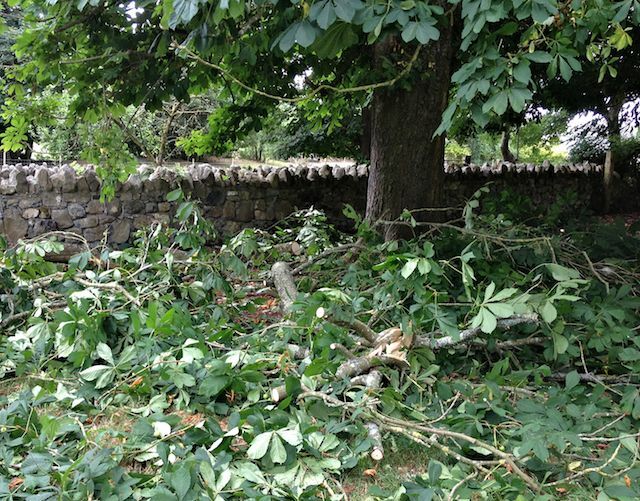 But a silent whisper of air like a butterfly’s wing must have snapped this branch, sending it crashing to the ground. 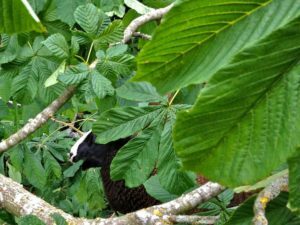 The lambs stayed away afraid that it might snap and crash again until I walked towards it with them all following suspiciously behind my body protecting them from the dangerous branch. 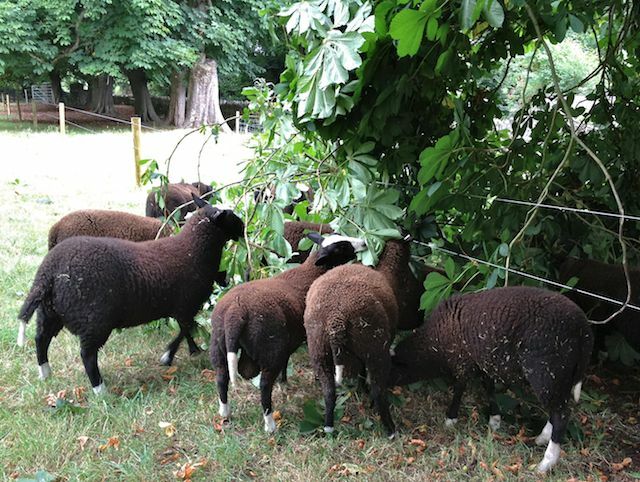 Until smelling the freshness of the leaves they galloped past us diving in upon it as if starved of food. 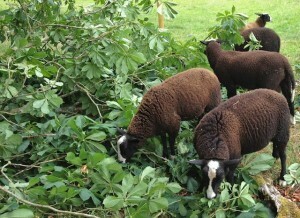 Heads all buried in amongst the fallen finding the youngest juiciest of the ribbed chestnut leaves. 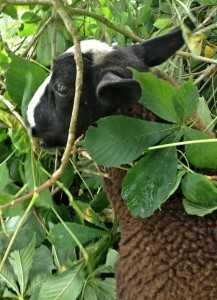 Until they found the soft baby chestnuts dangling like green Christmas tree decorations, sweet delights. There were not too many of these delectable green nuts to be had but short work was made of those that were there. 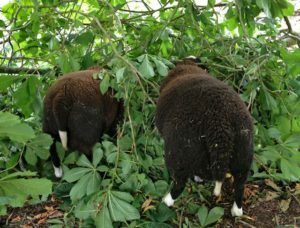 Once all the nuts had been found they returned to finding the sweetest green leaves to devour. They would not leave us as we chainsawed the branch which hung out over the road. Soon the best and sweetest leaves had been eaten, all the green chestnuts devoured in sheepish delight. 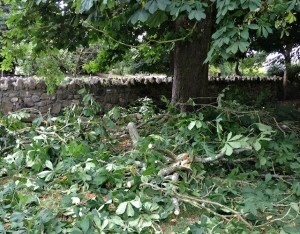 We were left alone to finish chopping up the branch and pulling it from the road, stone wall and fence. 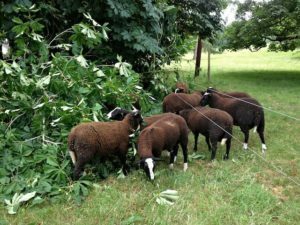 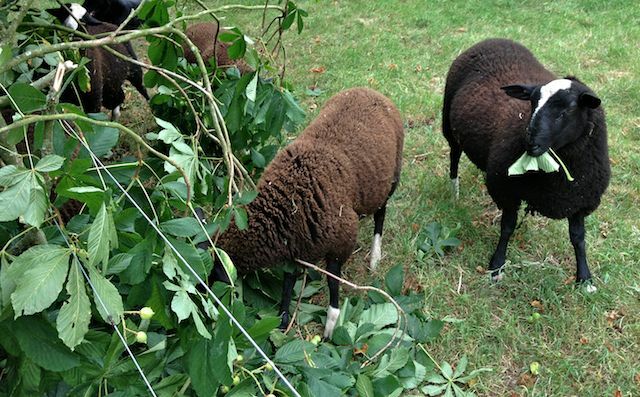 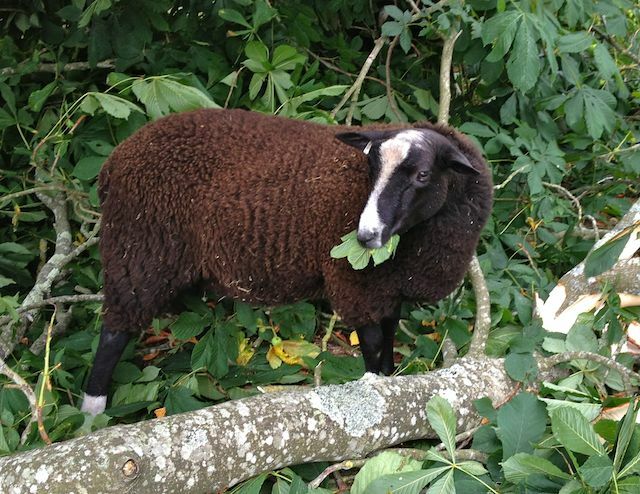 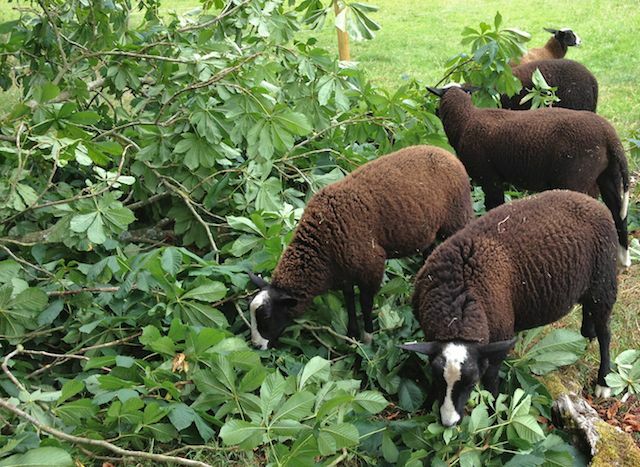 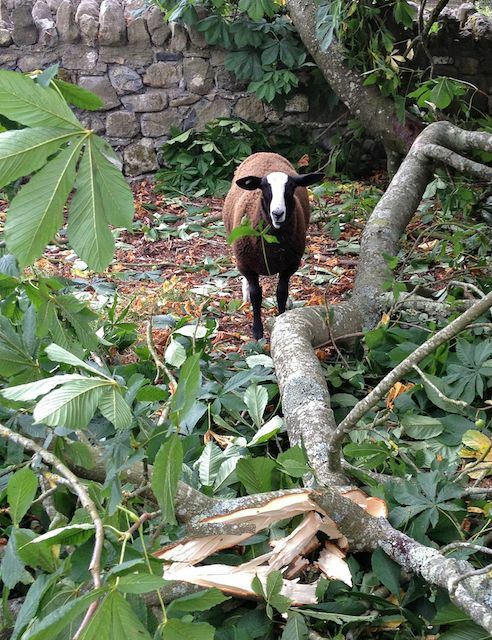 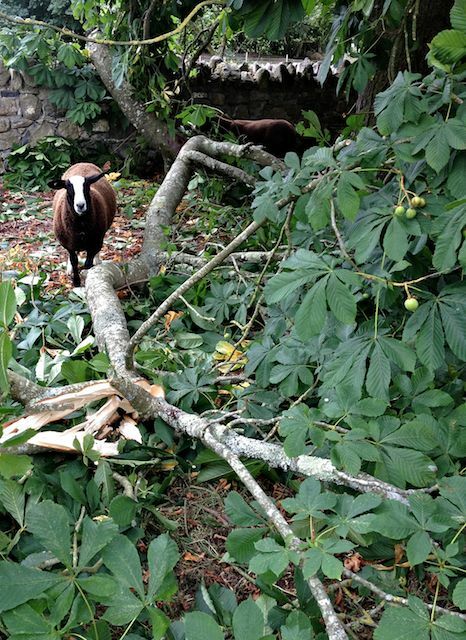 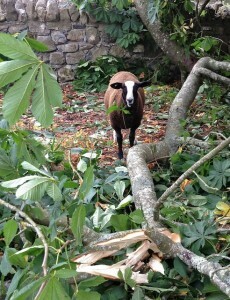 We left the fallen chopped up branch for the lambs to finish cleaning up the leaves. 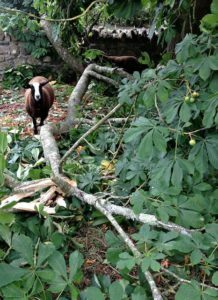 Still a mystery as to why the branch fell in the stillness of a hot day, no sign of rot, decay or any illness in the leaves, nuts or branch.